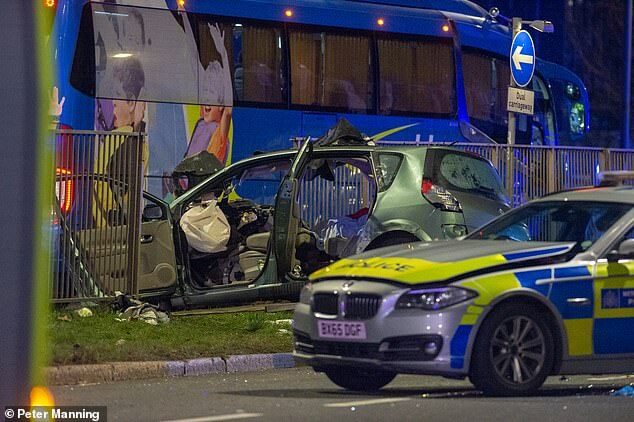 A man and a woman have been killed in west London after a people carrier being chased by police responding to a burglary smashed into a coach while driving on the wrong side of the road. Three suspects were said to be inside the Renault Megane as their car sped down the A40 in Acton at around 9pm on Sunday and struck the oncoming coach. 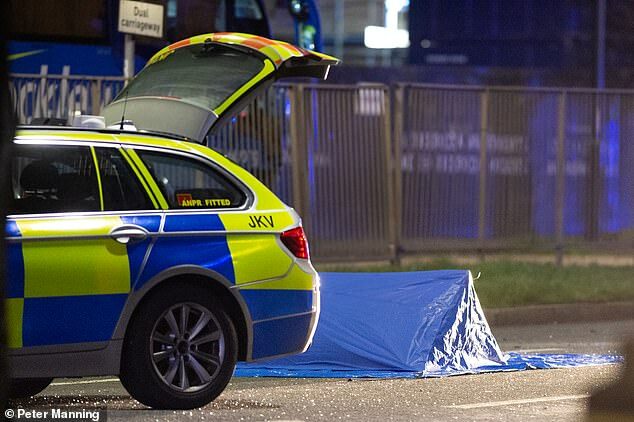 Police had trailed the car for several miles towards central London after the three suspects fled the scene of an alleged aggravated burglary at an address in Harrow. A police helicopter was called in to assist officers following the suspects, and reports on social media suggested as many as 10 police cars were involved in the chase. According to police, a male and female occupant were pronounced dead on the scene of the horror accident – with a third being rushed to hospital for treatment. It is not clear if there were any injuries on the coach, which was driving out of London on the A40 Westway. The condition of the surviving occupant has not yet been revealed. Dramatic pictures captured in the wake of the accident showed the twisted wreckage of a Renault Megane people carrier with its airbags deployed after the high speed smash. Another photo showed a stationary coach with a large portion of its front bumper missing and a police screen covering a dead body lying in the middle of the road. 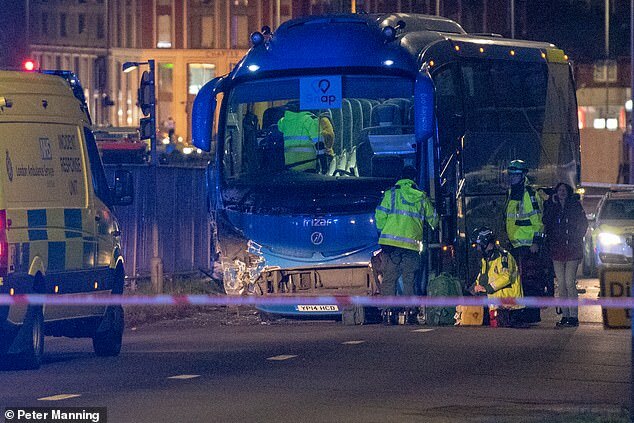 Witnesses who saw the horror collision between the car and the coach said there were ‘instant flames’ as the two vehicles came together at high speed. One Twitter user, Hina L, claimed: ‘I was driving westbound and had to swerve out of the way when the car came speeding towards me. A Metropolitan Police spokesperson said: ‘At approximately 21:00hrs the vehicle being pursued moved onto the wrong side of the carriageway on the A40. The police vehicles did not follow. ‘The vehicle was then in collision with a coach near the junction with Kingsdown Avenue, W3. There were three occupants in the vehicle. ‘Two people – one male and one female – were pronounced dead at the scene; a second male has been taken to hospital for treatment – condition awaits.